Coober Pedy is known for museums, historic sites, nature, wildlife, and shopping. Your plan includes some of its best attractions: admire the striking features of Faye's Underground Home, identify plant and animal life at Josephine's Gallery & Kangaroo Orphanage, take in the architecture and atmosphere at Catacomb Church, and explore and take pictures at Tom's Working Opal Mine. To find photos, more things to do, other places to visit, and tourist information, you can read our Coober Pedy trip planner. Shimla, India to Coober Pedy is an approximately 82-hour travel. The time zone difference when traveling from Shimla to Coober Pedy is 4 hours. In May, daytime highs in Coober Pedy are 26°C, while nighttime lows are 13°C. Finish your sightseeing early on the 6th (Mon) so you can travel to Kangaroo Island. Spend the 7th (Tue) exploring nature at Flinders Chase National Park. Spend the 15th (Wed) exploring nature at Kangaroo Island Wilderness Trail. 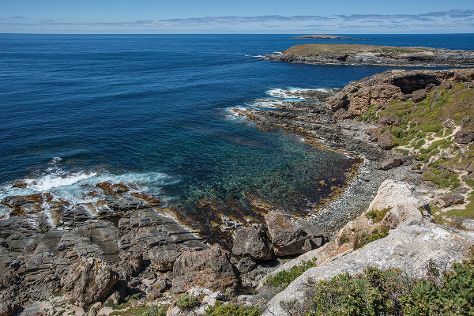 There's still lots to do: look for all kinds of wild species at Seal Bay Conservation Park, enjoy the sea views from Cape Borda Lighthouse Keepers Heritage Accommodation, tour the pleasant surroundings at Stokes Beach, and admire all the interesting features of Clifford's Honey Farm. For maps, photos, traveler tips, and tourist information, refer to the Kangaroo Island online trip planner . Traveling by flight from Coober Pedy to Kangaroo Island takes 4.5 hours. Alternatively, you can do a combination of car and flight; or do a combination of car and ferry. Finish your sightseeing early on the 15th (Wed) to allow enough time to travel to Port Lincoln. You'll find plenty of places to visit near Port Lincoln: Minniribbie Farm (in Wangary) and Food Tours (in Coffin Bay). Spend a fascinating day underwater on the 16th (Thu) with a shark diving experience. Spend the 17th (Fri) exploring nature at Coffin Bay National Park. And it doesn't end there: look for all kinds of wild species at Mikkira Station, stop by Boston Bay Wines, enjoy the sand and surf at Sleaford Bay, and cruise along Winter Hill Lookout. To find more things to do, photos, other places to visit, and tourist information, refer to the Port Lincoln online itinerary maker . You can fly from Kangaroo Island to Port Lincoln in 3 hours. Other options are to do a combination of car and ferry; or do a combination of taxi, ferry, and bus. Finish your sightseeing early on the 22nd (Wed) so you can travel to Mount Gambier. 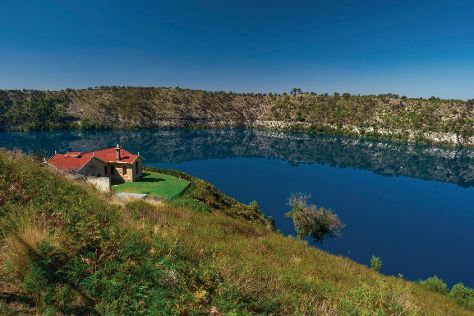 Explore the numerous day-trip ideas around Mount Gambier: Millicent National Trust Museum (in Millicent) and Robe (Cape Dombey Obelisk & Robe Beach). And it doesn't end there: contemplate the waterfront views at The Blue Lake, take your sightseeing to a higher altitude at Mount Schank, Head underground at Tantanoola Caves Conservation Park, and stroll through The Railway Lands. For maps, ratings, traveler tips, and more tourist information, read Mount Gambier online trip builder . Traveling by flight from Port Lincoln to Mount Gambier takes 3.5 hours. Alternatively, you can drive. In May, daytime highs in Mount Gambier are 19°C, while nighttime lows are 9°C. Cap off your sightseeing on the 27th (Mon) early enough to travel to Naracoorte. Naracoorte is a town in the Limestone Coast region of South Australia, approximately 336 kilometres south-east of Adelaide and 100 kilometres north of Mount Gambier on the Riddoch Highway .HistoryNaracoorte was formed from the merger of two towns, Kincraig, founded in 1845 by Scottish explorer William Macintosh, and Narracoorte, established as a government settlement in 1847. Start off your visit on the 28th (Tue): trek along Black Cockatoo Bush Camp Hiking Trails, explore the fascinating underground world of Naracoorte Caves National Park, and then look for gifts at Yulgilbar Wood Gallery. On the next day, do a tasting at DiGiorgio Family Wines, then explore and take pictures at Mary MacKillop Interpretive Centre, then learn about winemaking at Parker Coonawarra Estate, and finally do a tasting at Rymill Coonawarra. To see other places to visit, more things to do, photos, and other tourist information, use the Naracoorte trip planner . You can drive from Mount Gambier to Naracoorte in 1.5 hours. Wrap up your sightseeing on the 29th (Wed) early enough to travel to Victor Harbor. Victor Harbor is a town in South Australia on the south coast of the Fleurieu Peninsula, about 80 km south of the centre of Adelaide. Change things up with these side-trips from Victor Harbor: McLaren Vale (Oliver’s Taranga Vineyards Cellar Door and Winery, Chapel Hill Winery, & more), Christ Church (in Yankalilla) and Willunga (Willunga Farmers Market & White Feather Red Winery). Next up on the itinerary: head off the coast to Granite Island, stop by Vineyard Road Cellar Door, don't miss a visit to Victor Harbor Heritage Trail, and stroll through Horseshoe Bay. For ratings, maps, other places to visit, and other tourist information, refer to the Victor Harbor route maker website . Traveling by car from Naracoorte to Victor Harbor takes 4 hours. In May, daytime highs in Victor Harbor are 22°C, while nighttime lows are 11°C. Wrap up your sightseeing on the 7th (Fri) to allow time to drive to Adelaide. 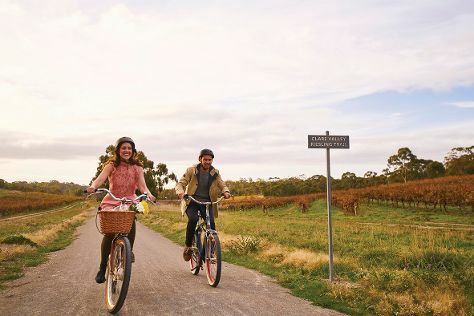 Get out of town with these interesting Adelaide side-trips: Hahndorf (The Cedars & Beerenberg Farm), Seppeltsfield (in Seppeltsfield) and Murray Street Vineyards (in Greenock). 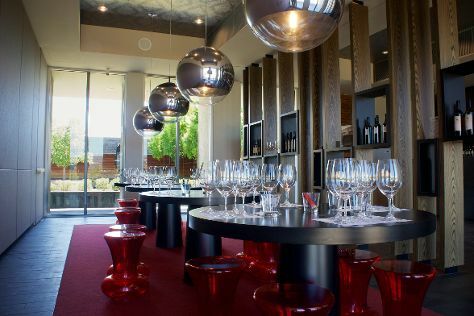 Dedicate the 9th (Sun) to wine at some of the top wineries in the area. The adventure continues: take in nature's colorful creations at Adelaide Botanic Garden, get engrossed in the history at South Australian Museum, make a trip to Adelaide Oval, and browse the eclectic array of goods at Adelaide Central Market. To see maps, ratings, where to stay, and tourist information, go to the Adelaide day trip website . You can drive from Victor Harbor to Adelaide in 1.5 hours. Other options are to take a bus; or do a combination of bus and train. In June, plan for daily highs up to 18°C, and evening lows to 8°C. Finish your sightseeing early on the 16th (Sun) so you can travel to Clare. The town of Clare is located in South Australia in the Mid North region, 136 km north of Adelaide. Venture out of the city with trips to Port Pirie RSL Museum (in Port Pirie), Peterborough Printing Works (in Peterborough) and Wirrabara Forest (in Wirrabara). Next up on the itinerary: trek along Riesling Trail, learn about all things military at Burra Town Hall, appreciate the views at Clare Valley, and stop by Mintaro Wines. To find traveler tips, where to stay, maps, and tourist information, refer to the Clare trip itinerary maker website . Traveling by car from Adelaide to Clare takes 2 hours. Wrap up your sightseeing on the 21st (Fri) to allow time to travel to Flinders Ranges National Park. You'll find plenty of places to visit near Flinders Ranges National Park: Hawker (Flinders Ranges National Park & Wilpena Panorama) and Wangara Lookout (in Wilpena). To see more things to do, reviews, ratings, and more tourist information, refer to the Flinders Ranges National Park day trip planning app . Drive from Clare to Flinders Ranges National Park in 4 hours. In June, plan for daily highs up to 19°C, and evening lows to 7°C. Finish your sightseeing early on the 25th (Tue) so you can travel back home.